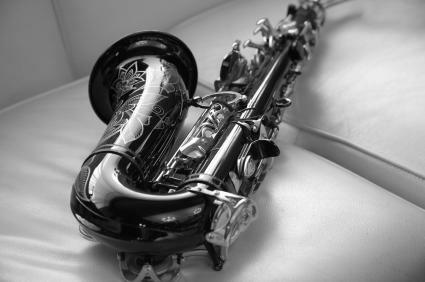 If you're new to jazz but want to start to explore the genre, a list of famous jazz musicians is a great place to start. Although fame and talent don't always go hand-in-hand in pop music, jazz is a different beast. Many of the genre's biggest stars are also among its most talented and influential musicians. Jazz's best known names are the perfect ambassadors to introduce the genre to newbies. Louis Armstrong - also known by the nicknames Satchmo and Pop - is perhaps jazz's best known performer. Armstrong's most popular song, Wonderful World, is ironically his least "jazz" tune, but if you dig deeper into his catalog, you discover a treasure trove of jazz classics that showcase Armstrong's trumpet and skat singing abilities. Armstrong was incredibly influential on the genre. Before his emergence on the scene, jazz was the forte of bands. Armstrong blazed a trail of solo jazz performances that opened doors for many of the greats who came after him. Though popular, Armstrong was also a polarizing figure in the African-American community, where some urged him to be vocal about civil rights issues. Armstrong was steadfastly non-political throughout his career, however, he did privately contribute time and money to the Civil Rights Movement. To many people, Wonderful World is actually a plea for equal rights. Billie Holiday, real name Eleanora Fagan, is the jazz vocalist and songwriter behind a long list of jazz standards. Holiday not only changed jazz music but also singing in general. Her vocal style and methods of manipulating tempo inspired jazz and pop singers alike and set a new standard for powerful vocals. Holiday, or Lady Day as she was nicknamed, had a list of hits, including God Bless the Child, Fine and Mellow and Lady Sings the Blues. Her song Strange Fruit, a haunting protest tune that describes a lynching, was extremely controversial in its 1939 release, but became an anthem of the burgeoning equality movement. Despite her immense success, Holiday struggled with drugs and financial problems. When she died in 1959, she had seven cents in her bank account. Hands down, Miles Davis is one of jazz music's most important and influential figures. As a trumpeter, composer and leader of a quartet, Davis was at the forefront of nearly every innovation in jazz for 40 years. From Bebop to cool jazz, hard jazz, fusion and modal jazz, Davis was out in front shaping them all. His inventive styles continue to be influential within the genre, particularly in the free jazz movement. Davis' influence reaches as far as Poland, where a statue of the performer stands in Kielce, Poland. Tenor saxophonist John Coltrane often played with Miles Davis and was and is every bit as influential. Coltrane started his career in hard jazz, and as the first musician to introduce modes to jazz, was the grandfather of the modal jazz movement. As his career progressed, he moved further and further away from structured compositions towards avant-garde jazz and improvisational music. Coltrane became the leader of the free jazz movement, especially through his label Impulse! Coltrane shocked the music world when he died in 1967 at age 40. His family said he had liver cancer, though his biographer has controversially suggested that Coltrane actually had hepatitis he had contracted through sharing needles while using heroin. Pianist Thelonious Monk also frequently played with Davis, as well as with Coltrane. He is the second most recorded jazz musician in history, after Duke Ellington. He started out performing bebop music, but like Coltrane, as his career progressed, he became more and more interested in free jazz. Monk was also noted for his fashion sense and stage styles. He frequently wore large glasses and a beret and would stand up in the middle of a performance and dance around while his band played on. In the 1970s, Monk abruptly quit the music industry. Rumors swirled that was struggling with mental illness. His family said the musician had brain damage that was caused by a doctor improperly giving the singer anti-psychotic medications. Monk died in 1982 after having a stroke.